Three-speed electric assist shifting and Shimano 6-speed mechanical shifting; multiple modes can be adjusted for different road conditions. Large wheels and added rear shock absorbers for better road passability and comfort. The body can be folded in half. Want to be notified when the FIIDO D2 Shifting Version Folding Moped Electric Bike E-bike gets even cheaper? Make sure you snag the best price by entering your email below. We'll email you when the price drops, free! We're tracking the price of the FIIDO D2 Shifting Version Folding Moped Electric Bike E-bike every day so you know if that deal is really a steal! Check back for to check the best price for this product - and whether its current sale price is really the cheapest it's been! 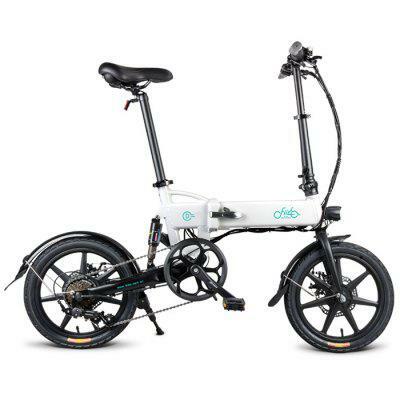 No FIIDO D2 Shifting Version Folding Moped Electric Bike E-bike coupons found!